For me, football is all about family. I belong to a large flock of Swans and a trip to the SCG is firmly entrenched as an annual event, as Mum, Dad, sisters, mates, nephews and nieces take to the road to meet at our home away from home. 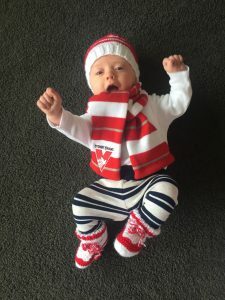 Ten weeks ago, we welcomed our first little cygnet, Ollie into the world, and as he debuts in his red and white this week, we have a five-minute drive to our home ground, Blundstone Arena. Yes, the father-son rule has well and truly been invoked. The untold joy that our little man has brought to our lives is only amplified as he’s wrapped up in his Swans beanie, scarf and woolen booties, ready for his first day at the footy. It’s been three long years since our Bloods have journeyed to the far south – three years too many. The Sydney Swans enjoy a strong following down here, and the feeling among us has been that of fervor and frenzy. We’ve lived in Hobart now for five years. After a period of relative struggle, recent years have been kind to the city. Tourism is booming and the old town is brimming with a newfound self-confidence. 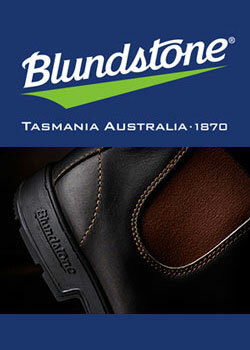 These days, barely a month passes by without a major event capturing the imagination of Tasmanians and travellers alike. This month, the headline act is a cracking game of football. The local celebration of all things Swans begins in earnest among the sandstone of Salamanca Place as a gathering of the Footy Almanac’s finest enjoy a lunch on Friday afternoon, fit for kings. The joviality then makes its way down Sandy Bay Road to the Bloods’ pre-match function where Mike Pyke and Adam Spencer entertain the faithful. The reds and the whites flow as the red and the white join in a rare moment of unification – a perfect preparation. Game day arrives, and if there were an accompanying soundtrack playing as some type of 1980’s Hollywood-style montage, it would be Lou Reed’s Perfect Day stuck on repeat. The song has a somber vocal delivery and slow, piano-based instrumental backing balancing tones of sweet nostalgia. Ollie looks excited, but not half as much as his doting Dad – sweet nostalgia indeed. The 2016 version of the Sydney Swans has the faithful delighted. The first quarter of this match provides the perfect example why. Luke Parker, Joey Kennedy and Dan Hannebery dominate the contest and their attack on the footy is a joy to witness. Ably supported by our very own father-son pick, Tommy Mitchell and the occasional injection of youth in Mills, Hewett, Heeney and Lloyd, this on-ball combination is formidable. A four-goal lead ensues. 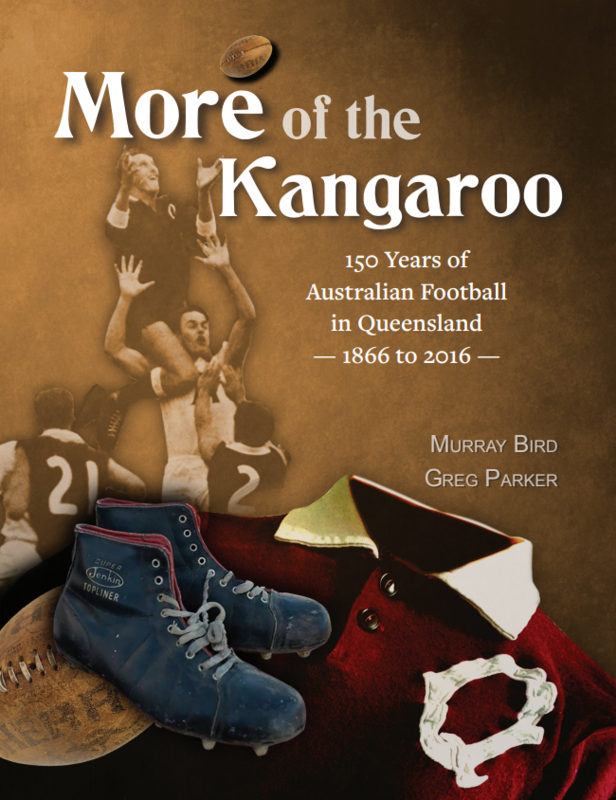 The Kangaroos are no push over around the footy however, and they fight back. It’s tough in the trenches and the match tightens up in a finals-type battle. The fluky breeze is causing a degree of havoc, but for the Bloods, Rampe, Mills and Aliir are taking shifts on intercept duty. Reg Grundy adds his name to the roster and at halftime, it’s a two-goal lead. Halftime at the footy is often a time of reflection. I’m thinking of family and how Ollie’s joining our fourth generation of Swans. Childhood reminiscing emanates and I think of road trips in the family Kombi. I like to think that the Sydney Swans are the Kombi Vans of Footy: They’re iconic. They’re stylish. 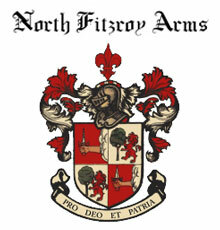 Dependable and sincere. They’re honourable, truehearted and extraordinary. The second half continues in the seesawing fashion of the first. Gary Rohan’s electric speed is a true weapon in both attack and defence. McVeigh’s organisation is critical and when Heeney finishes off a slingshot move, we’re staring down a five-goal lead. The Roos again hit back though and almost take the lead. It’s tense in the stands, but when D. Hannebery steps up to the plate, the game is ours. For the first time, I sing with my son to toast a victory and the moment is positively joyous. Ollie played a blinder in a fine debut and I wonder if he’ll be a Heeney or a Mills man? I’ll take them both. As we sit at the pinnacle of the competition, it’s time to dare, Bloods fans. It’s time to dream. A tremendous way to celebrate Ollie’s footy baptism Joe. Thanks Max, much appreciated. It’s humbling to know that a Bloods champion is enjoying my writing. We’re all very happy that we now have your grandson on board too. He’s a ripper! It was a cracking footy baptism, Swish! When I was researching the song I found theories that I didn’t know existed. I omitted the ‘ode to addiction’ school of thought from my piece – didn’t quite fit! Well done Joe. It indeed was an enjoyable weekend, Footy Almanac Lunch, Swans pre-game function, the game and post match drinks at the Bellerive Yacht Club. Good to catch up with you. Go Swans! How great that Ollie has been to his first Swans game at such a tender age! When he writes his book (at my age) he’ll certainly have had a few years on me and my first game at 4! Loved his outfit, but I wanted to photoshop it and make his little trousers red instead of blue!! 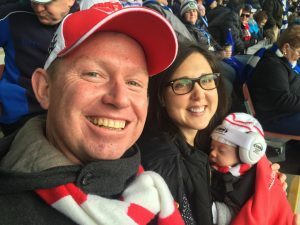 Well done Joe…id fall into the bad Mom category for footy mums taking newborns to a game…I just couldn’t get m head around that concept until they were older and could withstand four quarters,,,, Like a good 8 yrs. Last Saturday I walked passed a woman who had one strapped to her in a baby pouch (weeks if not days old) another ? Maybe 2yr old, running loose and another way ahead, not responding to her calls to come back. Not sure how many Q’s she lasted., but she certainly showed good endeavour. Thanks Keiran & Jan. Such a great weekend, looking forward to many more Swannies wins with Ollie. Hope he does write a book, Jan.
Would love that schedule to be an annual event Keiran. Thanks Kate. Taking Ollie to the footy so early on was certainly a high risk/high reward strategy! We were prepared for anything…. Luckily the little man came through! Thanks Rulebook. It was definitely an enjoyable day. Well done to you all Joe. Exciting times ahead for you. Beautiful photo of young Ollie. Great days Joe! Must be a great feeling. I loved your story, but the line from Max Papley wasn’t far behind. The generations continue to cheer, cheer. May you and Ollie share many Swans victories! Thanks Glen – certainly my favourite at the moment. Cheers, Ross. Here’s to lots of cheer cheering in the coming years ! Great read Joe. 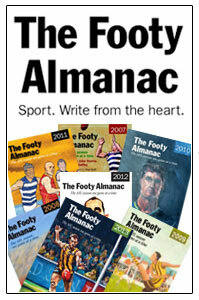 I was Ollie’s age when first taken to South Melbourne football in 1950. We stood on the bowling green side of the ground. 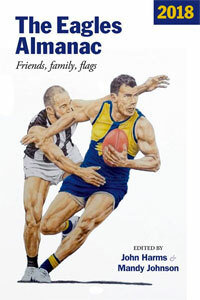 We followed them every week – though in later years we did not often go to Collingwood or Geelong away games. My extended family of uncles and cousins knew our family gathering “space” next to the bowling green. I was born and bred South Melbourne/Sydney Swans supporter. My paternal grandfather lived in South Melbourne from ~ 1887. My Father and his siblings were born and raised in South Melbourne. And yes I saw Max play and am enjoying watching his grandson were the red and white. At half time, us kids would go with my mother to have tea (well we’d eat her biscuits) in the Bowling Green club rooms. We would teach the cockatoo “Carn the Bloods”. My father and uncles would adjourn to the bar for half time.